Xiaomi became the world's fifth-largest smartphone vendor in the second quarter, catapulted into the top five for the first time by its hit products in its home market of China, according to research firm Strategy Analytics. The Chinese company grabbed a record 5.1 percent share of the global smartphone market, up from the 1.8 percent it held a year ago. This put it narrowly behind Chinese rivals Huawei Technologies and Lenovo, which ranked third and fourth, respectively, the research firm said Thursday. Xiaomi only began selling smartphones three years ago, but it has quickly become a handset juggernaut in China, where it has risen to become one of the most popular vendors. Earlier this month, the company revealed it had sold 26.1 million phones in this year's first half, a year-over-year increase of 271 percent. The company has succeeded partly by selling feature-packed phones at prices significantly lower than the competition. 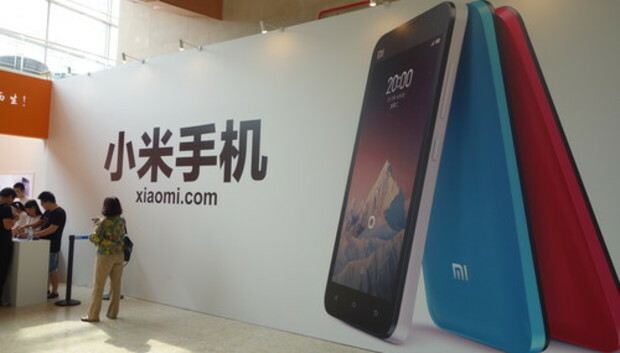 Its latest flagship phone, the Mi 4, is selling for 1999 yuan (US$324), less than half the price of Apple's iPhone 5s in China. This year, the company plans to expand to ten foreign markets, including in Southeast Asia, India and Latin America. Samsung Electronics maintained its leading position, with a 25.2 percent share. But this is down from the 32.6 percent it had in last year's second quarter as a result of tough competition from Apple at the higher end and from Chinese brands like Huawei at the lower end, Strategy Analytics said. On the same day, Samsung said its net profit fell by about 20 percent year on year. It put some of the blame on increased competition from Chinese smartphone vendors, and slowing demand in Europe. Apple, which was ranked second, held a 11.9 percent share, down year-over-year by 1.5 percentage points. The company is expected to launch bigger screen versions of its iPhones later this year.